The biggest baddies of the prehistoric world -- the carnivores -- come alive in Prehistoric Predators. 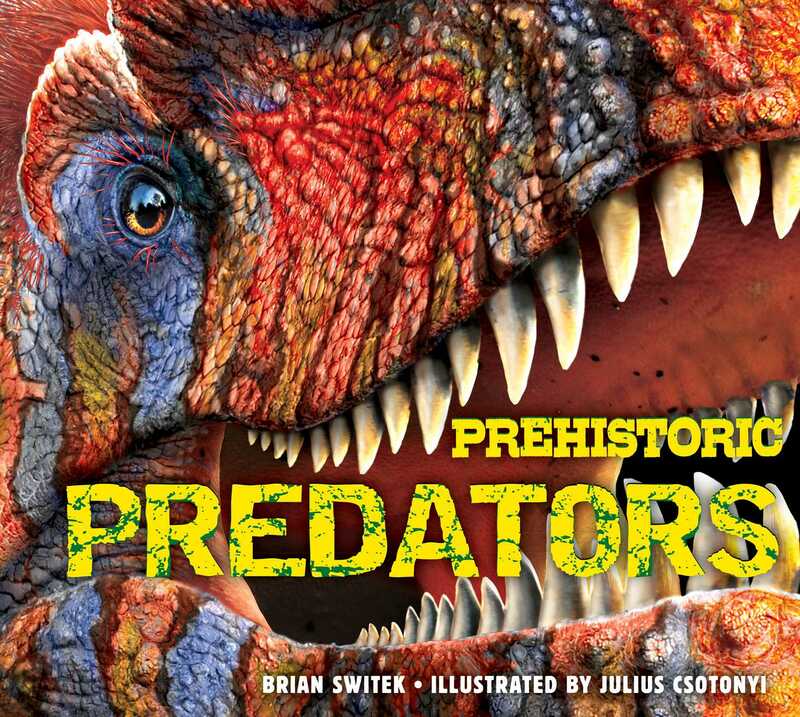 From favorites like T-Rex and Giganotosaurus, to the ferocious Spinosaurus and terrifying Megalodon, the stunning full-color illustrations from renowned paleoartist Julius Csotonyi make these dangerous creatures spring to life on each page. Bursting with fascinating facts written by National Geographic contributor Brian Switek, dynamic artwork, and a unique dino-skin textured cover, this is the perfect book for dinosaur lovers of every age! Julius Csotonyi is one of the world's most high profile and talented contemporary a scientific illustrators. Csotonyi has considerable academic expertise that contributes to his stunning dynamic art. He has created life-sized dinosaur murals for the Royal Ontario Museum and for the Dinosaur Hall at the Natural History Museum of Los Angeles County, and most of the artwork for the new Hall of Paleontology at the HMNS. He most recently illustrated the nonfiction children's books DISCOVERING SHARKS and PREHISTORIC PREDATORS and resides in Canada.